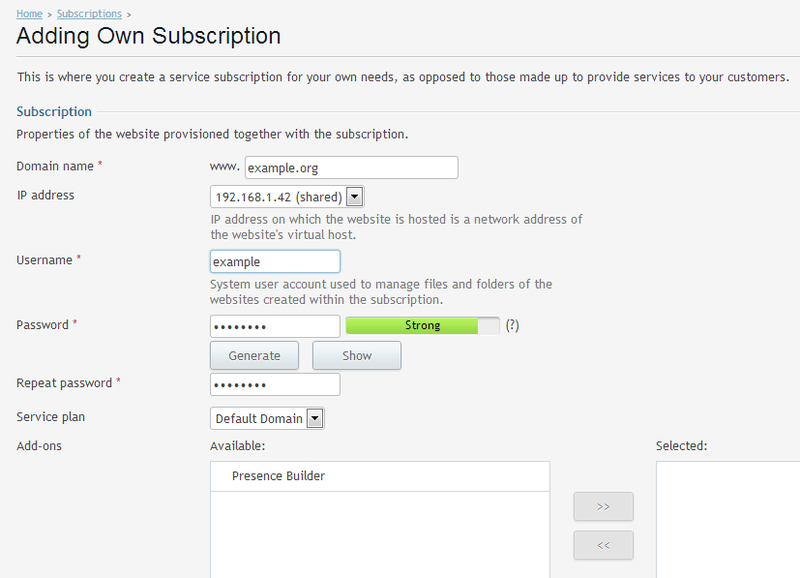 After logging in to your Plesk control panel, select Subscriptions from the main menu. 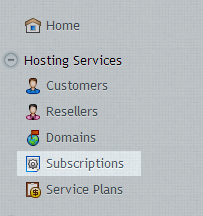 From the toolbar on this page select Add New Subscription. Now fill in the following page with the details you would like to use for this domain name. The Username and Password you specify here will be used as the login details for this domain's FTP account so make a note of them. You can leave Service Plan and Add-Ons alone. Click Ok once you have filled in all the details. For a typical domain, only the domain name, username and password need to be entered, everything else can be left as is. Congratulations, you have successfully added a domain to Plesk.